Last week, an [article] came out about an ichthyosaur from the United Kingdom. Ichthyosaurs are marine reptiles the lived during the Mesozoic. They had bodies shaped like dolphins and gave birth to their babies instead of laying eggs. This article described a few new specimens that were found in the United Kingdom. The specimens are pieces of the lower jaw bone, from slightly different time periods, but all from the Triassic (251-199 million years ago). Now, usually isolated pieces of bone do not make the news, but these lower jaw pieces are HUGE. Figure 5A from the paper showing one of the jaw pieces. 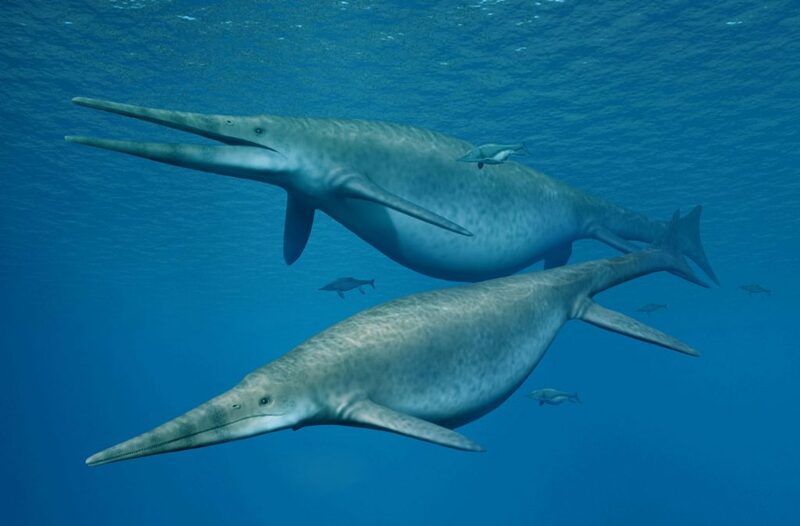 The authors compared the pieces to other ichthyosaurs of the time and place and found that in one case, the animal could have measured 20-25 meters long. That’s almost the size of a blue whale! In the case of the other specimen, it might have been even larger. 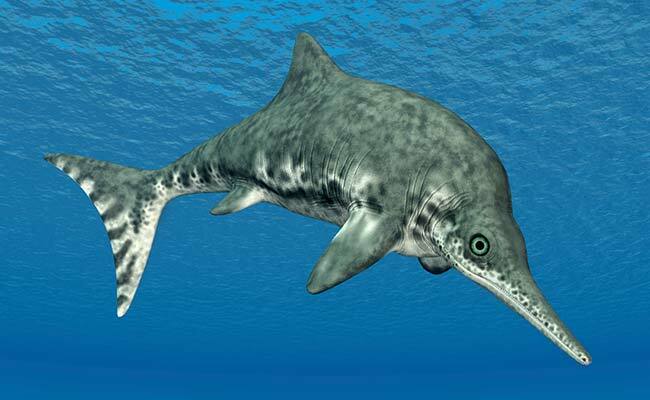 A drawing of Shonisaurus, a related ichthyosaur. By N. Tamura. Even though large mammals are found in our oceans today, during the Triassic, there was a broad diversity of reptiles ruling the seas. This entry was posted in English and tagged Ichthyosaur, Jaw, Triassic, United Kingdom. Bookmark the permalink.